1.01 A research centre/institute (these terms are used interchangeably) is created to promote and encourage scholarly activity of a basic or applied nature in an area that is not normally restricted to a single academic department. It is expected to offer new areas of research activity which align with the strategic plans and objectives of Wilfrid Laurier University. The purpose of this policy is to provide the framework for the establishment, operation and review of research centres/institutes at Laurier. 2.01 Governance structure: A formal system established to properly manage a research centre and to provide direction for its future growth and development in accordance with 4.05 Governance below. 2.03 Faculty research centre: a Faculty research centre reports to the Dean of the Faculty. Faculty research centres should include multiple members from within one faculty at the University. Financial support for a faculty research centre, if any, is at the discretion of the Dean from the faculty of origin, and is subject to budgetary approval. 2.04 University research centre: a University research centre reports to the Vice-President: Research and is eligible to apply annually for funds from the Vice-President: Research. Funding is not guaranteed and will only be provided if deemed warranted by the Vice-President: Research. University research centres should include members from multiple faculties from within the University and from outside the University. 3.01 A research centre is an organized research unit which serves as a locus for stimulating research, for attracting research funds, enhancing Laurier’s research profile and for enhancing the research experience of faculty, students, postdoctoral fellows, and visiting scholars. In pursuit of this objective, the centre should establish links inside and outside the University; organize seminars, symposia and conferences; solicit external funds for research or the dissemination of scholarly information; and maintain an appropriate governance structure. It is intended to be multi-disciplinary and collaborative in nature, and its activities should be distinctive from, and add value to the research activities of individual researchers. 4.01 Research centres will provide evidence of their interdisciplinarity and collaboration in the forms of the members co-publishing, co-presenting, co-applying for grants and/or contracts, mobilization of knowledge, hosting workshops as well as co-supervising students. A research centre should endeavour to recruit members from across the academic community, should involve students in its activities, and should create formal or informal links with agencies and colleagues in the private and public sectors who are engaged in related research activities. 4.02.01 Applications to establish a research centre/institute (university and faculty) should follow the Procedures for the Establishment of Research Centres/Institutes and are to be submitted to the Senate Committee on Research and Publications (SCRAP) for review and recommendation for approval to Senate. Applications will be received at any time, however, centres will only be granted official status beginning May 1 of any given year. a. Adhere to all University policies, procedures and regulations pertaining to the conduct of scholarly inquiry and administration of research funds. b. Have a governance structure and management board in accordance with 4.05 Governance below. c. Include members internal and external to the University. d. Report annually by May 1 on their activities to the Vice-President: Research (for university research centres/institutes) or the Faculty Dean (for faculty research centres/institutes). The free form two page annual report should focus on the centre/institute’s major research accomplishments, external investments, impact on highly qualified personnel training, and knowledge mobilization activities (publications, workshops, community engagement, etc). 4.02.03 Research centres are approved for a period of three years, beginning May 1 of any given year, but University Research Centres are subject to an annual budgetary process. 4.03.01 Operating support for University research centres is determined annually by the Vice-President: Research based on review of a detailed budget and two page annual report submitted. Operating support for the following fiscal year may be withdrawn at the discretion of the Vice-President: Research, subject to an appropriate review, upon provision of written notice. 4.03.02 Research centres are entitled to solicit funds from internal and external sources, and to generate income through activities such as seminars, symposia, membership dues and affiliates programs. 4.03.03 Any advancement or philanthropic activity involving research centres and institutes must follow University policies, procedures and guidelines, including 13.6 Gift Acceptance Policy, 13.5 Naming of University Assets and 5.7 Signing Authority Policy. Questions regarding fundraising for University and Faculty Research Centres/Institute activities should be addressed to the Office of Development and Alumni Relations. 4.04.01 The University maintains appropriate and sufficient authority over the governance and operations of research centres/institutes. 4.04.02 All University research centres/institutes report to the Vice-President: Research, who is responsible for overseeing financial viability and compliance with University policies and guidelines. 4.04.03 All Faculty-based centres/institutes report to a faculty Dean, who is responsible for overseeing compliance with University policies and guidelines. 4.04.04 All centres/institutes will be reviewed at the end of their three-year terms. Notice of the review will be communicated to the Director of the centre/institute by the Office of Research Services at least nine (9) months prior to the end of the centre/institute`s term. 4.04.05 As a centre/institute comes up for review, its Director will be asked to prepare a report as outlined in Procedures for the Review of Research Centres/Institutes. The report is to be submitted to the SCRAP, via the Office of Research Services, by a date established by the Vice-President: Research, for consideration. 4.04.07 Recommendations regarding research centres will be brought from the SCRAP to the Senate for final approval. 4.05.02 Any changes to a research centre/institute’s constitution must be approved by the SCRAP and reported to the Senate. 4.05.03 Governing Body: Each research centre/ institute has a central Governing Body, such as a board of directors or a steering committee that serves as its primary executive authority and oversees its activities. 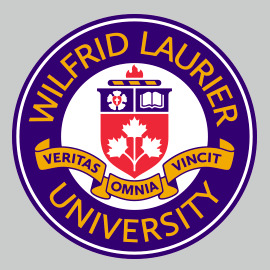 4.05.04 Composition of Governing Body: A majority of the voting members of the Governing Body shall be Regular Faculty at Wilfrid Laurier University. 4.05.05 The members of a research centre/institute shall be represented sufficiently on the Governing Body. 4.05.06 The Governing Body is required to meet at least once per year and additionally as appropriate. For research centres/institutes with complex budgetary and/or reporting requirements, meeting at least quarterly is preferable. 4.05.07 Research centres/institutes may establish their own rules regarding quorum for meetings of the Governing Body. 4.05.08 The Governing Body will conduct its business transparently. Meetings of the Governing Body will be open to members of the research centre/institute. Minutes will be taken at all meetings of the Governing Body and will be available to the members of the research centre/institute. a. Enact rules and regulations for membership of the Governing Body and the conduct of its affairs. b. Recommend appointment of the Director and other leaders to the Vice-President: Research (for University research centres) or the Dean (for Faculty research centres). c. Appoint and remove Members, and establish categories of membership and associated fees. d. Plan and implement the research centre development. e. Establish processes to manage and monitor the research centre’s financial affairs. f. Establish and enforce rules and regulations governing the research centre activities, provided such rules and regulations are consistent with University policies, procedures and guidelines. g. Establish such committees as it deems necessary to discharge its responsibilities; this may include establishing advisory bodies comprised primarily of external members for the purpose of providing strategic or scientific advice to the Governing Body or the Director. 4.05.10 Director: Research centres must have adequate research/scientific/academic leadership and administrative leadership. Each research centre has a Director who is appointed by the Vice-President: Research (for University research centres) or the Dean (for Faculty research centres), on the recommendation of the Governing Body. In making its recommendation, the Governing Body will seek the views of the research centre’s members. The Director shall hold a Wilfrid Laurier University full-time faculty appointment. The Director’s term is normally for a three-year period. A Director’s term may be extended or renewed by the Vice-President: Research (for University Research Centres) or the Dean (for Faculty research centres) with the support of the Governing Body. If permitted by the Governing Body, the Director may delegate some of their responsibilities to one or more Associate Directors. e. discharging all responsibilities set out in the constitution or charter, and as directed by the Governing Body. 4.05.12 The procedures followed by the Director in all matters shall be governed by prevailing University policies, procedures and guidelines. 4.05.13 The Director’s performance is reviewed annually by the Vice-President: Research (for University research centres) or the Dean (for Faculty research centres). With prior knowledge of the Director, the Vice-President: Research (for University research centres) or the Dean (for Faculty research centres) will seek confidential input from the Governing Body, Members of the research centre, and its staff by any means they deem appropriate. 4.05.14 In the event of the Director’s absence for any prolonged period, arrangements should be made for the Vice-President Research (for University research centres) or the Dean (for Faculty research centres) to appoint an Acting Director for a period of no more than one year. 4.05.15 If the office of Director becomes unexpectedly vacant, the Vice-President: Research (for University research centres) or the Dean (for Faculty research centres) will appoint, after appropriate consultation, an interim Director and initiate the process of filling the vacancy. 4.05.16 A Director may only be removed from office for cause, which is to be understood in relation to the duties of the Director as described herein. Causes for removal include negligence, incompetence, unprofessional conduct, and inability to maintain the confidence of the members.